When I am pregnant, I get very sick. With Zoelle I threw up a lot! In the car, in bed while sleeping, at the table. Pretty much anywhere and it lasted 5 months. When I found myself pregnant with Meridian, I dreaded the sickness again. My sickness with Meridian was a bit different in that I was extremely nauseous, but rarely got to throw up (and I always wished I could). It again lasted 5 months. I tried everything with both girls: crackers before getting out of bed, more protein, lemon sour, sucking on sour things, water with lemon, etc. Nothing and I mean nothing worked! When I was just past the sickness with Meridian I received a sample of Vitamin B6 Therapop B-natal to help with morning sickness. I figured since I was past that stage, I wouldn't use it and tucked it away for a possible later use. I completely forgot about it until my poor sister found herself just as sick as I was with my girls. 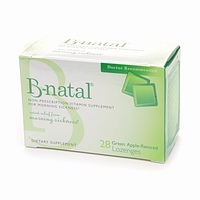 Then, I recently was given the opportunity to try some B-Natal Lozenges. Being that I am not pregnant, but my sister is and still can be sick, I asked her to try them and let me know what she thought. She told me that one of the great things about the B-natal Lozenges are that they taste good, not bad. Even though they have Vitamin B6, they don't taste like a vitamin, rather they taste like candy. My sister works as a nanny and has about a 15 minute drive to work before she can eat breakfast. She said that often that 15 minute drive would be terrible as she would normally feel pretty sick. However, with the help of the lozenges, the edge got taken off a bit. She often found herself keeping them in her purse for when she couldn't eat right at that moment, but needed to find a bit of relief from the sickness. Did they take the sickness away completely? Not always, but they did provide some temporary relief for her. If I ever get pregnant again, I will definitely try and use these myself based off of my sister's review of them. 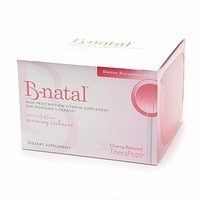 If you are pregnant, or thinking about getting pregnant and worried about getting sick, check out where to buy B-natal. Momselect and Everidis Health Sciences have been generous enough to offer one of my readers their choice of a package of either B-natal Cherry-flavored TheraPop or Apple-flavored Lozenges. Winner will be chosen at random from random.org Winner has 24 hours from being contacted to respond, or else a new winner will be chosen. 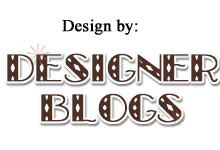 Contest ends Saturday, June 12, 2010 at 11:59 p.m. CST! *Congrats to #5-Ames! I'll be sending you an e-mail shortly! *The featured product(s) in this post were provided to me free of charge by the manufacturer or pr company representing the company. All opinions expressed in this review are my own and not influenced in any way by anyone. Vitamin B6 is the only scientifically proven treatment that consistently works to alleviate the nausea and vomiting of morning sickness!! !